Instagram is a beautiful space to showcase your work and build your brand. 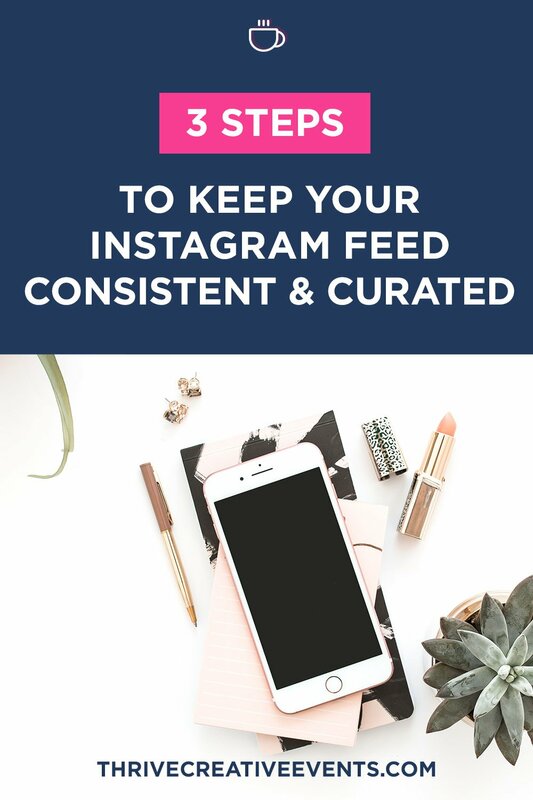 And to really get the attention you deserve from followers on Instagram, consistency, and curation are the name of the game! If you turn your own grid into a curated source of beauty for others, then you’ll see your following grow as people look to you for their daily dose of inspiration! To help make your IG feed a flawless showcase of your content, here are a few key guidelines to follow as you decide what to share. 1. What are the main 2-4 colors that define your brand? 2. What mood and tone best describe your brand? Is it classic and neutral, light and airy, dark and moody, bright and bold, etc? Now use your answers to guide every post on Instagram. And be super consistent with sticking to your brand colors and style. This means you may have amazing photos that no longer get shared through IG. And that doesn’t mean you can’t use them elsewhere, but if you want a curated look for your feed, even a great shot that is too dark if you’re light and airy, or doesn’t fit your colors and style, shouldn’t make the cut. Post it on facebook or save it for a blog post instead! Second, up the visual interest of your feed while staying on brand by choosing different types of images that all pass your brand litmus test. Instead of posting four images in a row that are all wide angles of the busy streets of NYC, try rotating through a few different types of images. For example, you can go from a wide-angle city street, to a close-up detail shot of a flatlay, to a full-length photo of you in action, to a close-up headshot. The idea is to help each photo stand out by putting different types of photos next to each other. Because the photos are so small when viewed on your grid, the photos can all start to blend together. By zooming in and out in a sense from image to image, you’ll help each one compliment the other and stand out more clearly. And bonus – using a rotation of key photo types will help you never feel at a loss for what to post next! Finally, stop posting in the moment and start planning ahead! It’s really tempting to post that perfectly delicious latte you’re having with a friend right from the coffee shop, but you shouldn’t. And here’s why: when you post in the moment you sacrifice the big picture and overall sense of what you’re trying to create with your feed. Instead, save that photo, edit it to match your brand style, and then plan it into your feed for the future. There are a bunch of different apps (most with free versions!) out there to help you start really planning out your feed. They let you see what it will look like before the photos ever go live on Instagram. I use UNUM to plan my grid and almost always have my next six to nine images planned out at any given time. Planoly is another app with a similar service. You can move your images around, swap them out, and see exactly how your grid will look so you can choose the images that will best give your feed the consistent and curated look and feel you want. For any of those things you really want to share in the moment – take advantage of Insta-stories to do so. You’ll get to connect with your followers in a new way and your feed will thank you! Lynne Reznick is an award-winning wedding and portrait photographer who captures love stories across New England and beyond. She launched Lynne Reznick Photography in 2011 with a focus on serving couples and families by providing beautiful portraiture and documentary style classic imagery that lets authentic moments and emotions shine. 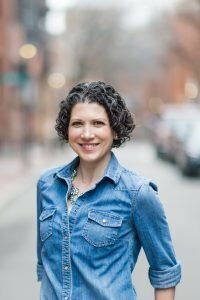 Lynne is a member of the International Live Events Association (ILEA) and currently, serves on the Board of Directors for the Boston chapter. When not photographing weddings, Lynne trains for road races, indulges in a donut or two, drinks lots of coffee, and cuddles with her husband Scott. She lives in Boston, MA. Get the 7-Day Instagram Challenge! 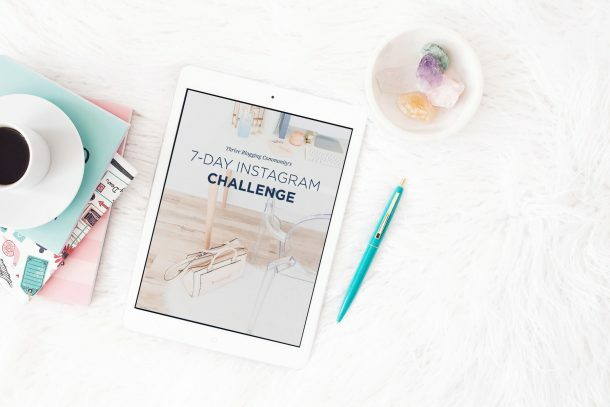 Get your free 7-Day Instagram Challenge to boost your Instagram feed and gain more followers! When you join our mailing list you will immediately receive the 7-Day Instagram Challenge and you are also signing up to receive the latest news and updates from our team! Thanks for sharing all these tips. I tend to use my Instagram for a variety of things, but I DO like the idea of switching up types of photos. Thanks for the great tips! I didn’t know about IG planning tools, that’s really helpful, I’m going to check them out! Great tips! One thing I want to work on is organizing and planning out my photos more in advance! Thanks for sharing. Thanks Jessy! You’re going to love the power to curate and organize that planning your posts through an app will give you! Have fun with it! Great advice Lynn! Love the idea of using those apps to plan ahead! Thanks for sharing!